Characteristic value acc. to equation 1 for assessment of the demolding properties of a molding material in green sand molding process, which results from the quotient of the Shatter index divided by the compressive strength. 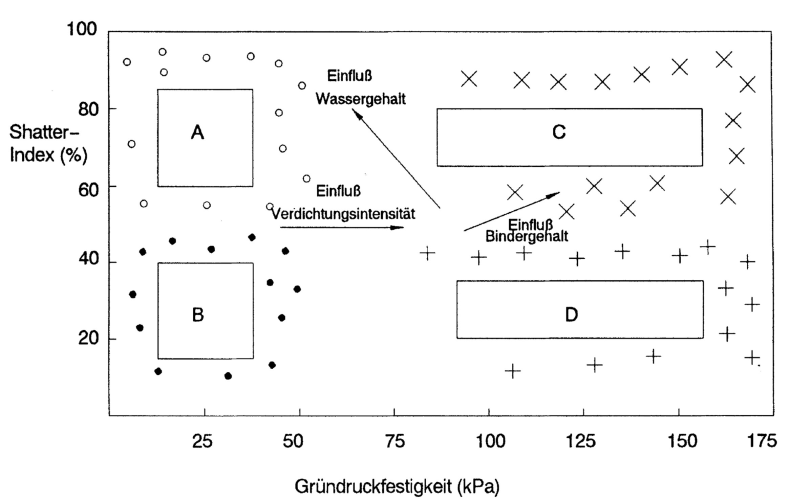 With increasing plasticity, the Shatter index is increased and the demolding behavior is improved (Fig. 1). During demolding, the loads occurring in the compacted molding material are predominantly tensile stresses. The material undergoes varying changes in strength behavior, depending on the individual types of loads, in particular with increased compaction and under the influence of elastic recovery, which is paralleled by reduction in tensile strength in the molding material. 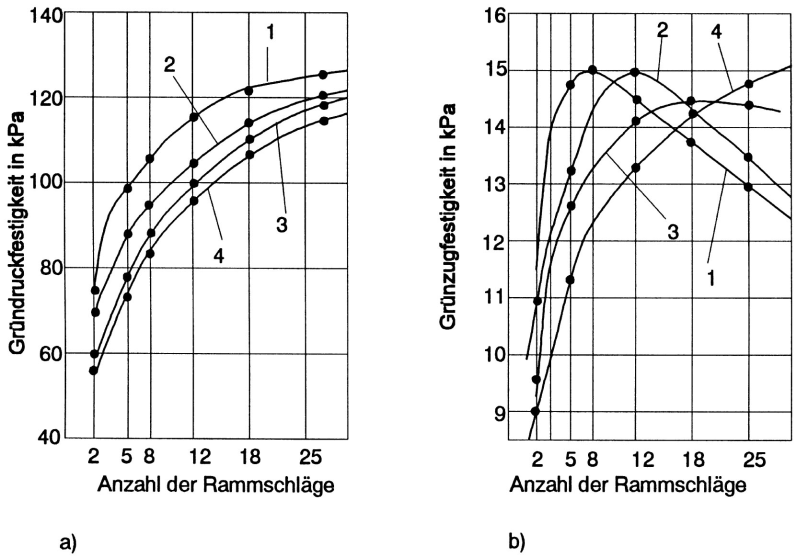 Increase in compaction and reduction of the water content, have completely different effects on tensile and compressive strength characteristics (Fig. 2). The plasticity properties of a molding material are closely linked to its deformability under influence by a loading force. Molding materials with equal or similar compressive strength, achieve good demolding behavior if the degree their plastic deformability is particularly high.